“A Sacred Space to Escape the Every Day Stresses” That’s how Vicki Eber, owner Lotus Yoga, Wellness, and Gallery, describes her new location at 1934 South Calhoun Street in Downtown Fort Wayne. When you walk into the new Lotus you feel immediately transformed into a calmer, more Zen, version of yourself. Eber says that’s because the space was designed with intention, “Our yoga instructors have all said they can feel how intentional the design of this space is. It’s like someone’s hugging you but not too tight.” Lotus has relocated from it’s original space on Lafayette Street. The new space provides a quieter and more meditative and inviting space. “We’re a come as you are studio,” Eber tells me. “You don’t have to dress like a yoga student, have a yoga body or even be able to touch your toes. This space is about being yourself escaping the stress of every day life…” Lotus’s motto, “Be Creative. Be Well. Be You,” is evident when you meet Eber and the other Lotus instructors. Each instructor teaches with a purpose. Recently Eber’s been focusing on teaching with a focus on “contentment but not attachment” This is evident as they encourage students to leave all of their belongings in their lockers and only bring what’s truly necessary into the class room. The goal is to help students, through yoga, leave behind the outside world and focus on their own personal wellness. In just the short number of classes that have occurred since they’ve opened, students are already appreciating the opportunity to disconnect. 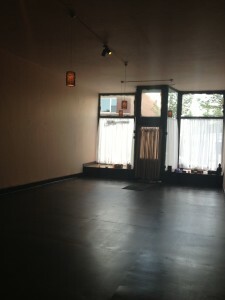 Lotus offers a variety of classes at all levels including YinVin, Vinyasa, and Prenatal Yoga. Check out their class schedule on their new website. 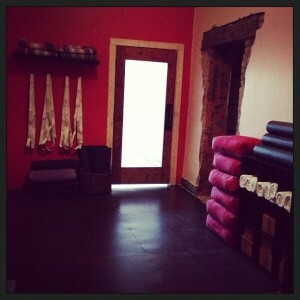 In addition to yoga, Lotus offers Massage Therapy and wellness coaching. Vicki’s clients rave about her abilities as a massage therapist. “I was a Lotus massage client even before I was in a pretty bad car accident. Right after the accident, Vicki was able to work with me and help me recover. I don’t know what I would have done with out her. She saved me from a lot of pain,” said Jason Mutzfeld a dedicated Lotus client. Whether you’re a Fort Wayne local or a visitor needing a break from this hectic life, you won’t be sorry you stopped in to Lotus. For more information on Lotus and their services, check out their website.